Origin: Since 1879; current factory rebuilt in 1946; rechristened Barton 1792 in 2009. This shrug is exactly how I felt about Barton 1792 going in. Their products aren’t particularly celebrated or even carried by many. I know Very Old Barton is a bourbon and I remember I think once trying the 1792, but I personally had little experience or connection with anything they do. We ended up going because of this last point — the less I know going in, the more likely that I’ll learn something. This proved true in an unexpected way: the tour itself was fairly useless, but as it turns out, the 1792 Ridgemont Reserve bourbon is pretty damn good. The useless of the tour wasn’t our guide’s fault, not that he really helped at all. Most distilleries shut down for about two months in the summer, when temperatures get too hot for efficient fermentation. Sazerac bought the distillery in 2009 — “for our warehouse space,” our tour guide grumbled — and the suits down in New Orleans decreed that they would shut down for the summer a bit early. Which apparently, this year, meant late March. So by the time we got there, they had already been shut down for two weeks. No sights, no smells, everything dark and gray, our footsteps echoing in places where just last month we’d have to shout to be heard. And it was rainy and overcast and generally unpleasant, a sensation enhanced by the bitterness of our tour guide, who spoke of Sazerac a little like the way Ukrainians speak of Stalin. All the same, we did learn how the bourbon is made, and after tasting it, that information became dramatically more interesting. Like the others, they wouldn’t tell us the mashbill. He did say, however, that they’ll go through about 300,000 lbs of corn, 70,000 of rye and 30,000 of barley (in proportion is 75% corn, 17.5% rye, and 7.5% barley) which makes sense: 17.5% is a relatively high percentage of rye, which comes through in the taste. 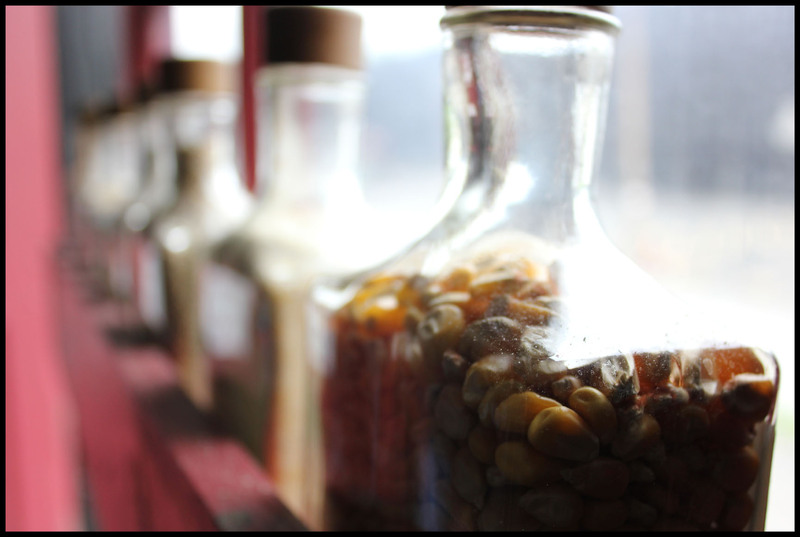 But they also cook it differently; after milling (up to 400lbs/minute in hammer mills), most people cook the corn first and for longer, but Barton 1792 cook the rye and corn together, at 200° for about 9 minutes, before bringing it down to 186° and adding the barley malt. This means that there’s no special emphasis on the corn sugars, and where one would usually get a chord of caramel and corn flavors in the front palate, 1792 is tempered at the gate by the rye. 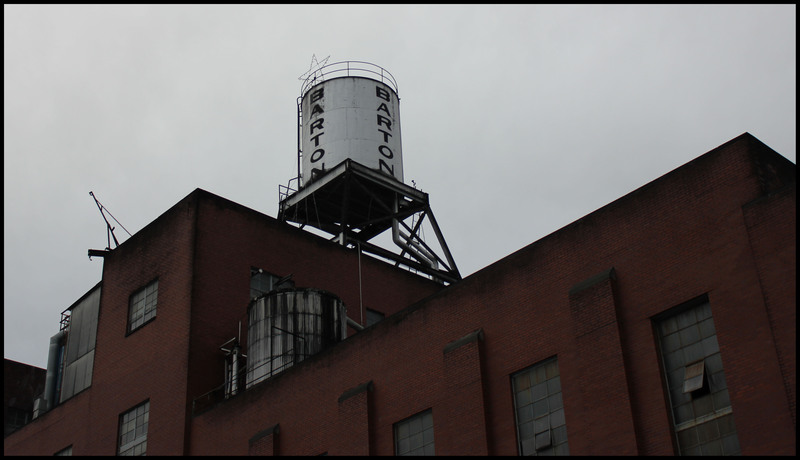 Also interesting is that while most people add the sour mash to the fermenters, the Barton folks add a whole bunch of it (up to 20%, or roughly 10x more than Buffalo Trace) to the mash as it cooks. In addition to catalyzing fermentation and ensuring regularity, the sour mash ensures against too much sweetness, and part of 1792’s intriguing character comes from this decision. At their peak, the’ll run all 18 of their 50,000 gallon stainless steel fermenters/week. It’s a 3-5 day fermentation up to about 9 or 10%. I have nothing else for this; we didn’t see them, because they’re currently big empty drums. 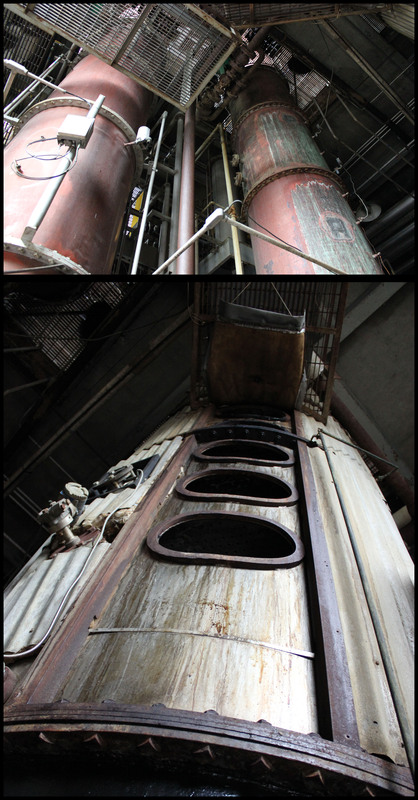 Their column still is 6′ around and 50′ tall, steel lined with copper. Of the 50,000 gallons of distiller’s beer, they’ll get about 10,000g of proof whiskey, which they double distill to a pot-ish still that everyone down there calls a “doubler” up to 135 proof, before watering down to 125 and putting into barrel. They keep 28 aging warehouses, holding 20,000 barrels each for more than 460,000 barrel capacity. Which is, if you’re wondering about relative size, a fuckload of barrels, as they’re the 3rd largest producer of bourbon whiskey in the state. 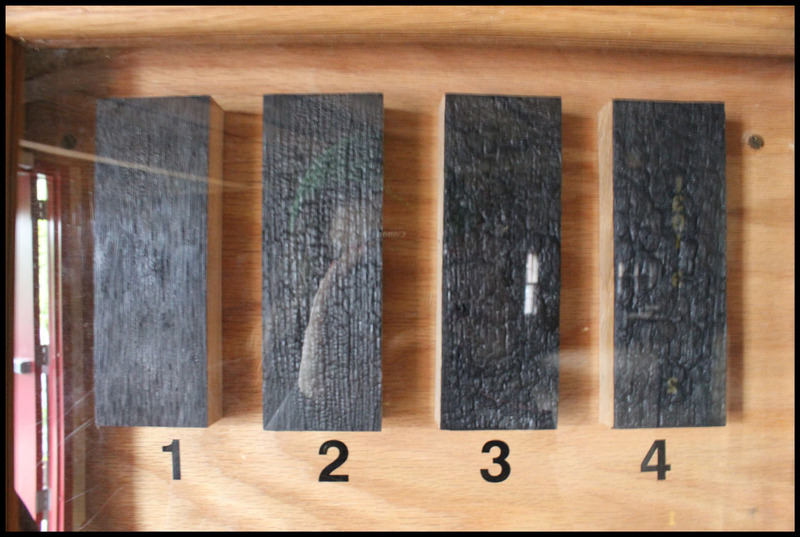 All bourbon barrels have to be new, charred oak, but the level of char is up to the distiller. Light to heavy is ranked from 0-4, which all seems a little abstract but for the helpful display case in the warehouse (right). Barton’s new oak barrels get a 3.5 (or very heavy) char, before getting filled and sent to the warehouses for detention. 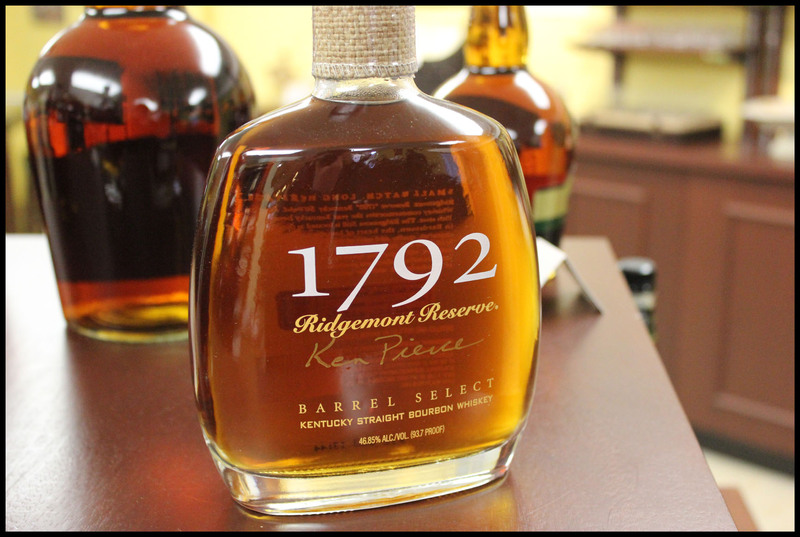 The 1792 Ridgemont Reserve will stay in warehouse Z (their best warehouse, or so they say) for at least 8 years before being small batched with maybe 100 other barrels, then bottled at 93.7 proof. Note: see the string hanging between the beams in the upper left picture? It’s to make sure the building doesn’t fall down. 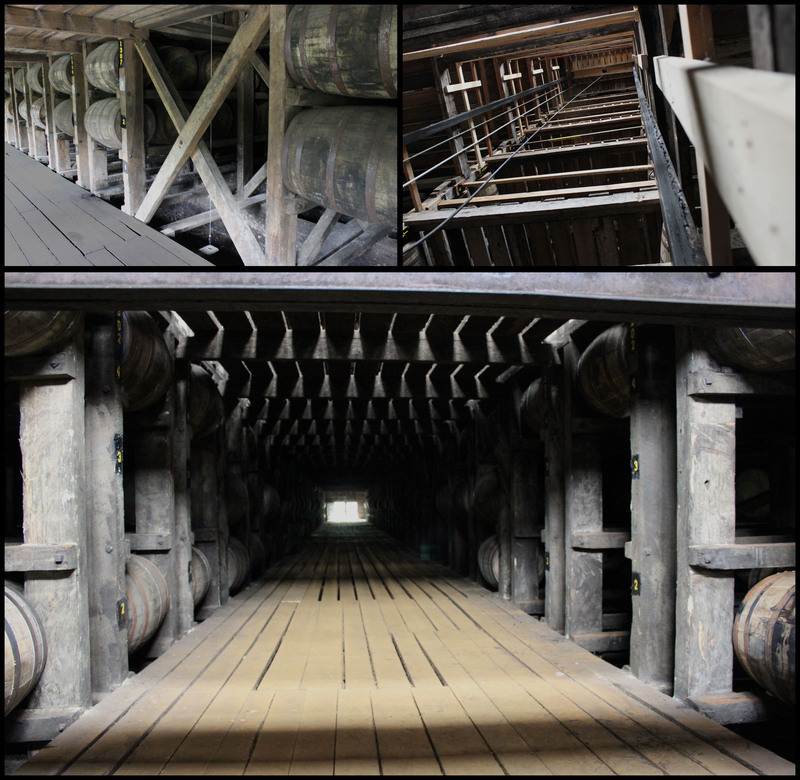 A full barrel is about 500lbs, so these old wooden buildings have to support up to 10 million pounds of cargo. These weighted strings are the canaries in the coal mine, placed strategically to show warehouse managers if the building is tilting too much to one side. The distillery itself is large and engaging. They run their own coal-fired power plant on site, and all the buildings are a unadorned dark red brick, evoking the late-40s, postwar determination to quit messing around and get back to work. They make bourbon there, but run a massive bottling plant of more than 300 different brands, with modern conveyor belts whipping a galaxy of fifth-tier labels I’ve never heard of into bottles into cases into pallets. It’s an often-overlooked distillery and is worth the stop, though I’d highly recommend going when they’re in production. 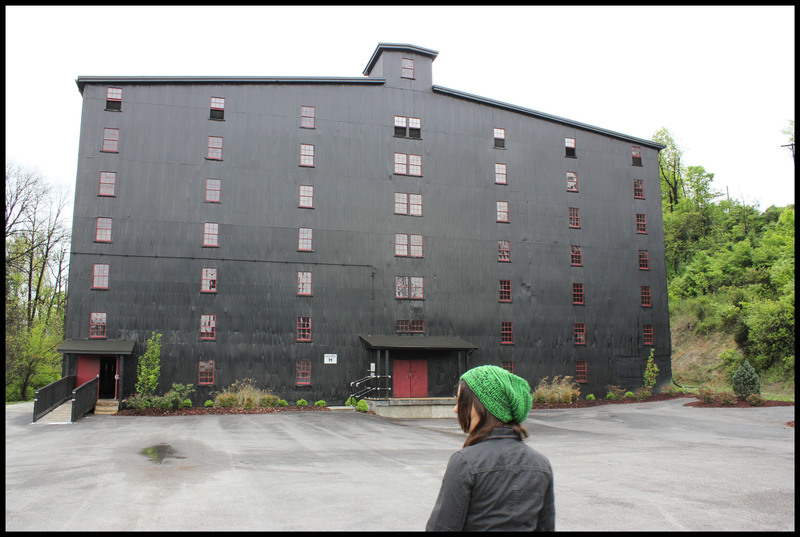 It’s the only distillery we visited that wasn’t making bourbon at the time, and I can’t help but wonder how much more we would’ve gotten out of it. The 1792 Ridgemont Reserve has all the trappings of a gimmick. 1792 is the year Kentucky became a state, and predates any distilling on that site by almost 90 years. Additionally, it was originally 1792 Ridgeford Reserve, but they were sued by Woodford Reserve, and not without cause. It’s like how Captain Morgan’s Rum gets popular, then all of a sudden pops up a low class rival called Admiral Nelson – we’ve been trained as consumers to appraise these posers as low-rent horseshit and move on, so imagine my surprise when tasting 1792 Ridgemont Reserve to find that it was delicious. The nose is incredible, full oak and very balanced rye. Drinking leads to slight burn, oak, and a mighty rye note that persists throughout the entire experience, with an extremely dry finish and lingering cinnamon and woody notes. It’s not the best bourbon I’ve ever had, but it’s a solid entry (particularly for the price) and has earned a semi-permanent place on my shelves. Thank you! Pretty soon, I hope.